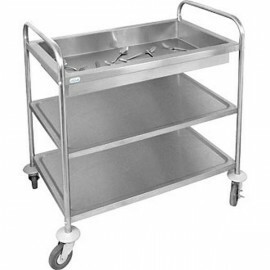 A great lightweight clearing trolley with two or three tier shelf options. 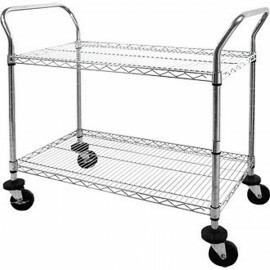 The shelves are chrome plated steel for extra durability. 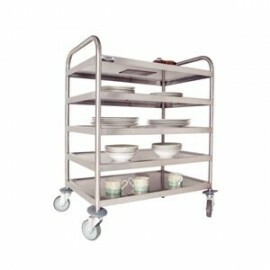 A great lightweight clearing trolley with two or three tier shelf options. The shelves are chrome pl.. 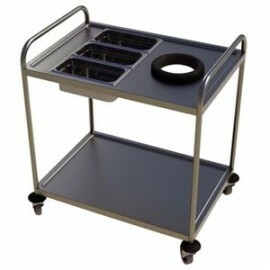 The Vogue Deep Tray Clearing Trolley is a sturdy three tier clearing trolley with a 100mm deep top t.. 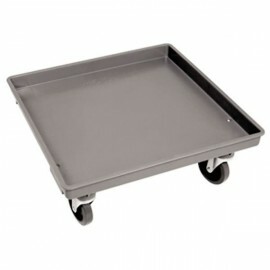 The Vogue Dishwasher Rack Dolly is a durable polypropylene rack dolly for transporting 500 x 500mm d..